Home Ahh, what to say about Michael Bolton? I never thought I'd buy an album of his, but I find I quite enjoy it! He's a great singer! 1 3T Michael's voice really makes the most of "Only A Woman Like You" - quite a stunning song. 5 A-ha 2. 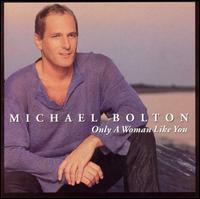 I Wanna Hear You Say It Written by Michael Bolton/Billy Mann/Rudy Perez. Produced by Billy Mann, Rudy Perez and Michael Bolton. 9 Apocalyptica 4. All That You Deserve Written by Andy Goldmark/W. Hector/M. Bolton. Produced by Andy Goldmark and Michael Bolton. 15 BC Jean 7. The Center of My Heart Written by Michael Bolton/Walter Afanasieff/Billy Mann. Produced by Walter Afanasieff and Michael Bolton. 23 Carrie Underwood 11. Surrender Written by Richard Marx/Michael Bolton. Produced by Richard Marx and Michael Bolton. 26 Cher Lloyd Billy Mann co-wrote Backstreet Boys "Song For the Unloved" and "Poster Girl" and Pink's "God is a DJ" for Pink. 27 Christina Aguilera Rudy Perez has also worked with Julia Iglesias and Jose Feliciano. 28 Cyndi Lauper Walter Afanasieff has worked mainly with Mariah Carey, co-writing "Hero" and my all-time favourite Christmas song "All I Want For Christmas Is You". He co-wrote Ricky Martin's "She Bangs". 30 Daughtry Andy Goldmark has worked with Jennifer Paige and co-wrote my favourite songs of hers: "Crush". 31 Dede Mark Mueller also co-wrote Jennifer Paige's "Crush"
33 Drain Robert "Mutt" Lange is, well, as if you don't know! He's produced ACDC, Bryan Adams, Def Leppard and Shania Twain plus more!